Register Log In ECN Forum Forums Violation Photo Forum What is this all about? 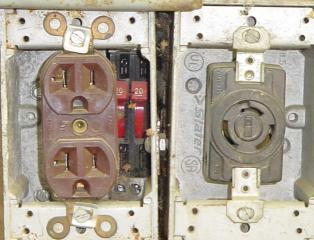 Looks like somebody tried to install 20A inline fuse links on a 15/20A dual-rated receptacle. Not exactly accessible, are they. 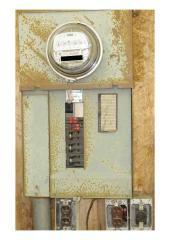 With two fuses, they either have a 3-wire split receptacle, or heaven forbid, they fused the neutral. I can only imagine what might be upstream from this. 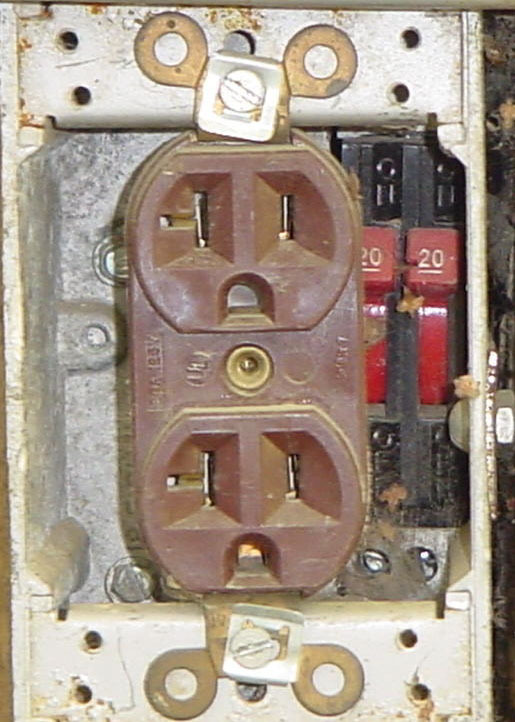 Is this inside of a Sub Panel, or is that Zinsco 20/20 inside of something else [maybe a "Spiderbox"], used to protect that 20 amp Receptacle??? Either way, one can only ponder "Whadda Heck Was That Joker Thinking!?!?!" Imagine someone sticking their finger in there to throw the Breakers' Handle[s]! That was sure nice of the Installer to leave "Access" on the side of the Receptacle with the Ungrounded Conductors' Terminations! Where do you guys see wires? If this isn't a trick photo I have no ideas. Once again I Ass_U_Me_d [ ] this was an active outlet. Looks like they have started to clean up this mess! I found these in my mailbox and they were from Alaska. Pardon my ignorance, but it looks like mini-breakers to me. You know the 1/2" size. I'm not sure of this fuse holder talk. Those are old Zinsco or GTE/Sylvania twin CBs. I've even seen these with a stab connection for the wire similar to a stab-in receptacle. Also heard (maybe true, maybe not) that these are right behind FPE's for the "no blow" characteristics. Fortunately, they're long discontinued. You cut and pasted that right. Those are breakers ? Wow, and I thought they were shims to assure the receptacle didnt move.